I’ve read Walter Mosley novels before, usually mysteries. Knowing he writes science fiction too, I thought Inside a Silver Box was one of his SF works. But it is much, much more. I’ve posted about mixed genres; this is the ultimate mix. It probably can’t be classified. Try fantasy, SF, mystery, thriller, quest, literary, psychological, philosophical…. It also fits all of my three H’s—Head, Heart, and Humor. Two people, black thug and rich white girl, are perpetrator and victim brought together when he saves her life. They become friends and together they set out to save the world from the Silver Box and its evil alter ego. If it sounds like a wild tale, it is. But Mosley is an excellent writer who makes you think. The book is unique, strange, and for me captivating. 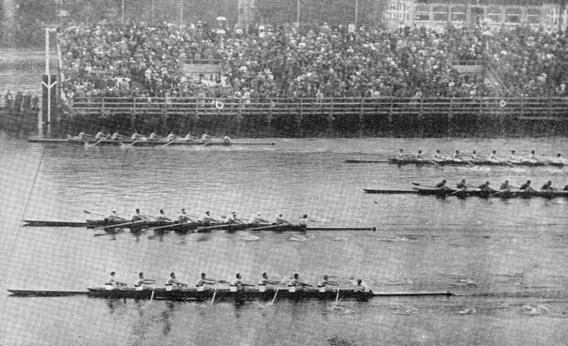 This nonfiction story of the Olympics-winning nine-man rowing crew is fascinating. 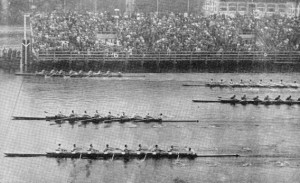 When I lived in Boston, I always enjoyed watching the crews rowing their shells in the Charles River. What I didn’t realize was how much mental and physical work was required to make that beautiful synchronized boat skim the water. This is a story of Joe Rantz, one of the crew of the Husky Clipper in which nine men from Washington State took the gold medal for the United States in the German hosted Olympics of 1936. But it is also the story of the whole crew, their coaches, the boat builder, a local newspaper reporter, plus the story of life in the Northwest U.S. during the great depression, the dust bowl, and the beginnings of the Nazi Regime in Germany. This is another “literary” novel that I enjoyed. I need to stop prejudging books by their genre. I don’t believe you should judge a person by what group they belong to, what they look like, or where they come from. So why should I choose book by genre? Each group has authors I enjoy and those that I don’t. 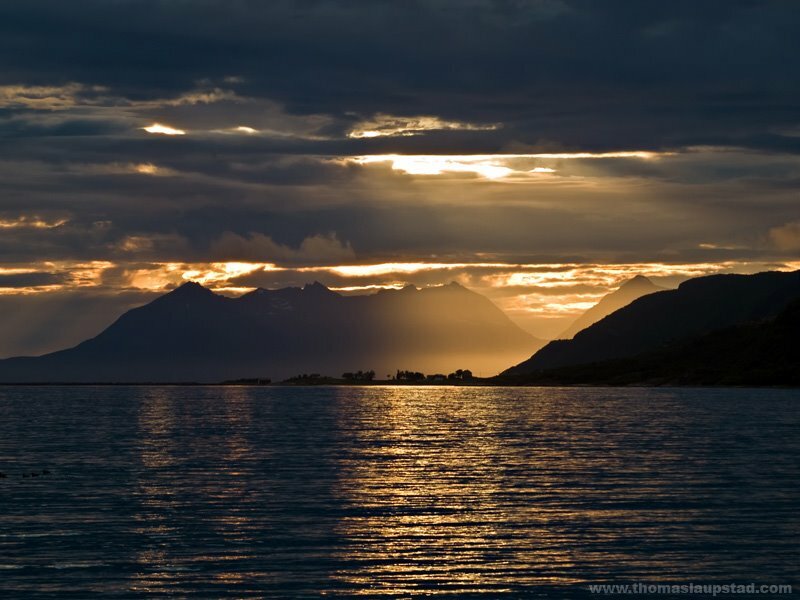 The Sunlit Night is a delightful tale about two young people who end up in northern Norway, above the Arctic Circle in the land of the midnight sun. Frances is a twenty-two-year-old artist from New York City who has accepted an apprenticeship for the summer to Nils who paints only in yellow at an artist colony and museum in the north of Norway. Yasha, seventeen and just out of high school. is a Russian boy living over his father Vassily’s bakery on Brighton Beach. Vassily plans a trip to Moscow to look for Yasha’s mother who stayed behind ten years earlier when father and son moved to the United States. Vassily dies of a heart attack in Moscow and his last wish is to be buried at the top of the world. 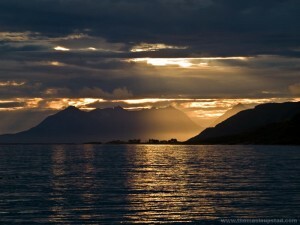 The artist colony and museum in northern Norway is the closest to his father’s wish that Yasha can find. Dinerstein paints the stark Arctic landscape as beautiful and colorful. She surrounds us in ever-present light. In addition to Frances and Yasha, all the peripheral characters are entertaining—from the artist Nils to local blacksmith to staff and manager of the museum. We have glimpses of Frances’s dysfunctional family. Her sister is marrying a man her parents don’t like, and they refuse to attend the wedding. Yasha meets Frances’s family looking over her shoulder at a computer screen. Yasha’s uncle from Moscow and his lost motherarrive for Vassily’s funeral. His mother stays on, working at the museum, and the man she has been living with in New York turns up later. Everything about the book is entertaining—characters, setting, story. I highly recommend it.